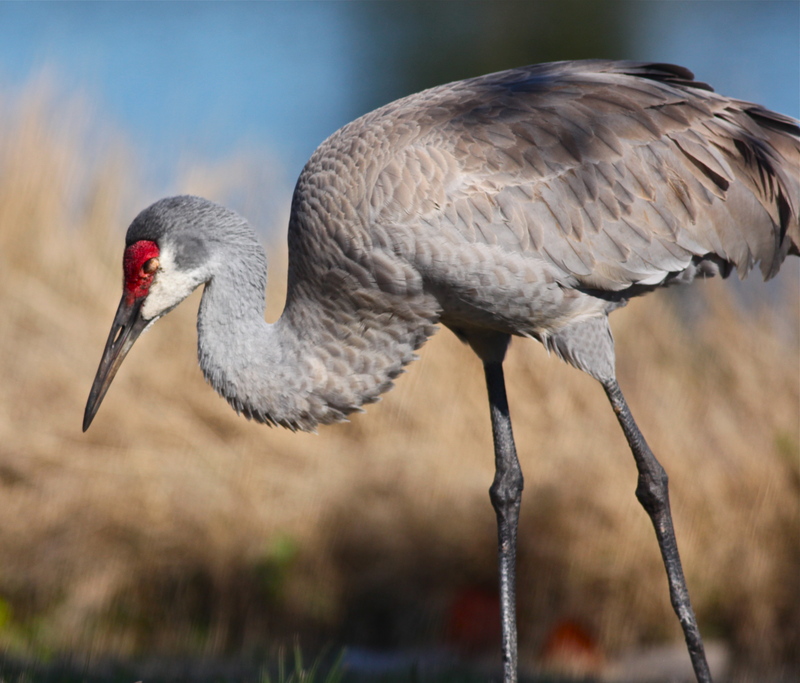 For a number of years I have been pleased to participate in the Great Backyard Bird Count, an annual four-day event where bird watchers of all ages count birds to create a snapshot of where birds are across the continent. 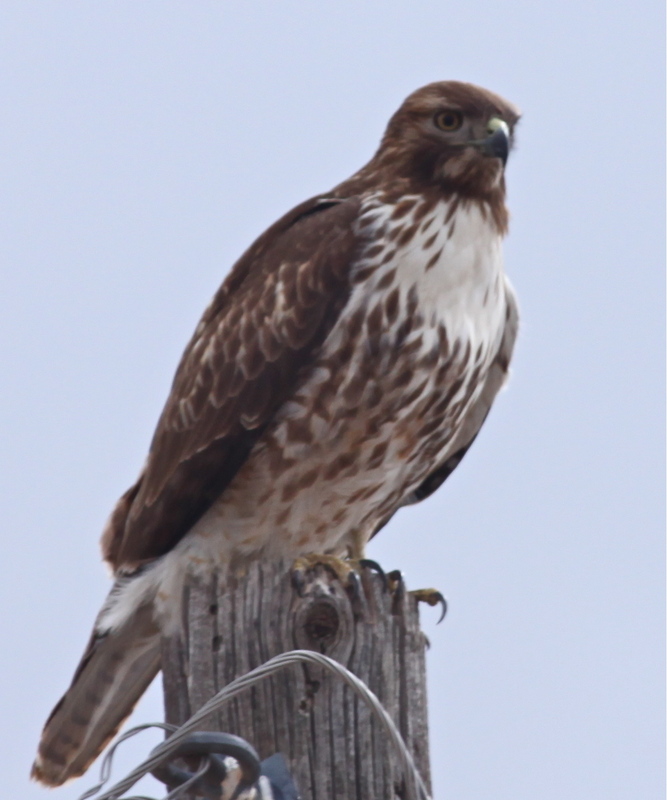 Red-tailed Hawk on a power pole at the corner of my acre. 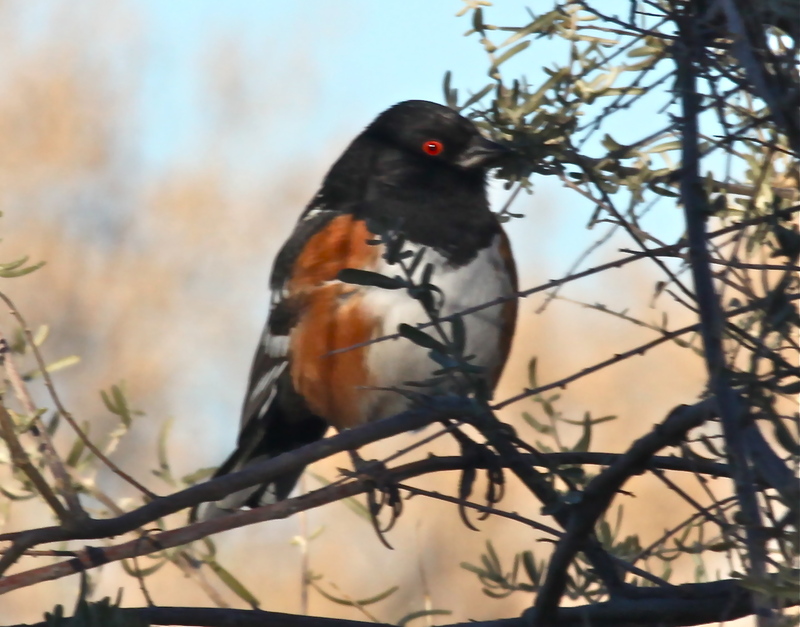 This handsome and imposing bird had apparently caused all the smaller birds to seek cover. 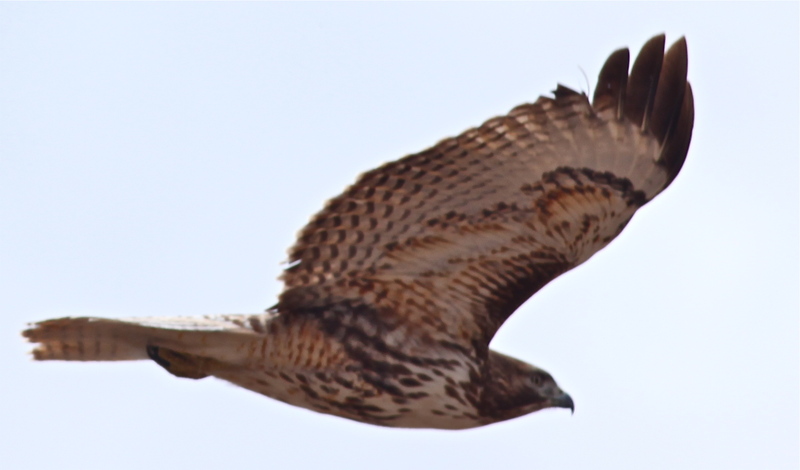 Red-tailed Hawk looking for prey. 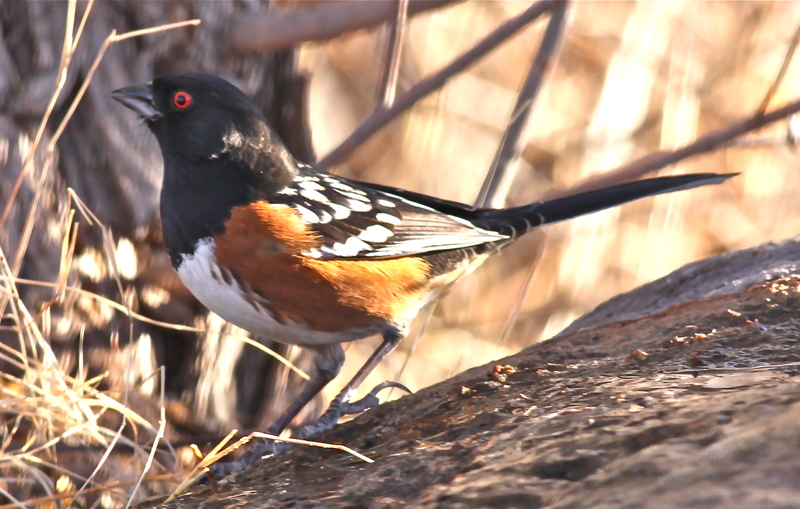 I usually see Gambel’s Quail, Western Scrub Jays, House Finches, White-Winged Doves, American Goldfinches, Lesser Goldfinches, Spotted Towhees, House Finches, Dark-eyed Juncos, Red-shafted Northern Flickers, Ladder-backed Woodpeckers, Curve-billed Thrashers, White-crowned Sparrows, Greater Roadrunners and Common Ravens around my house this time of year. 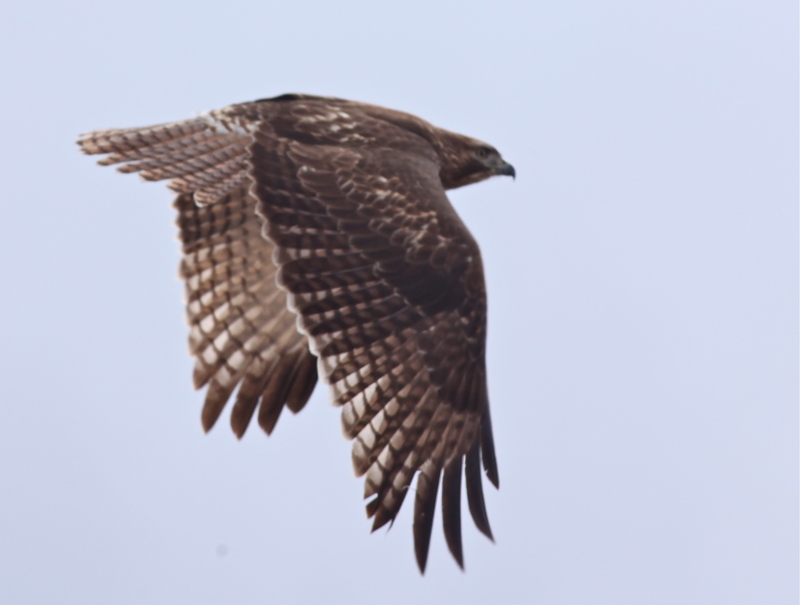 Today I saw only a hawk. 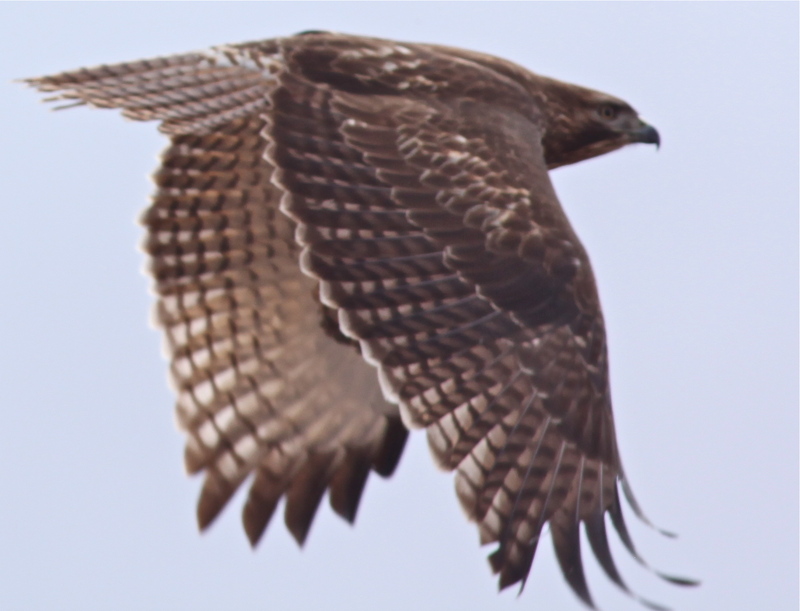 This Red-Tailed Hawk has sent the other birds into hiding! 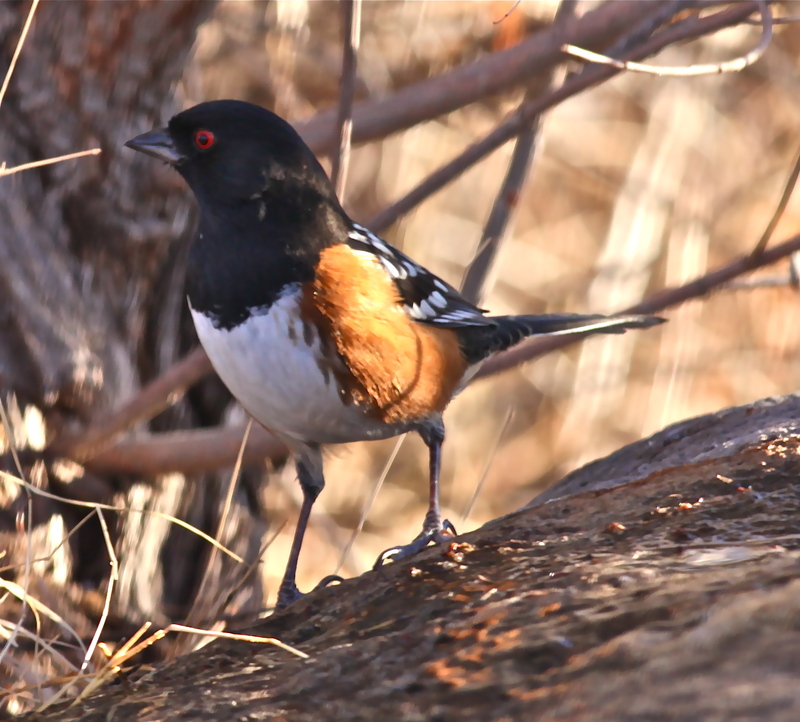 I had gradually approached the bird to take some photos, and he took exception to my approaching so near. 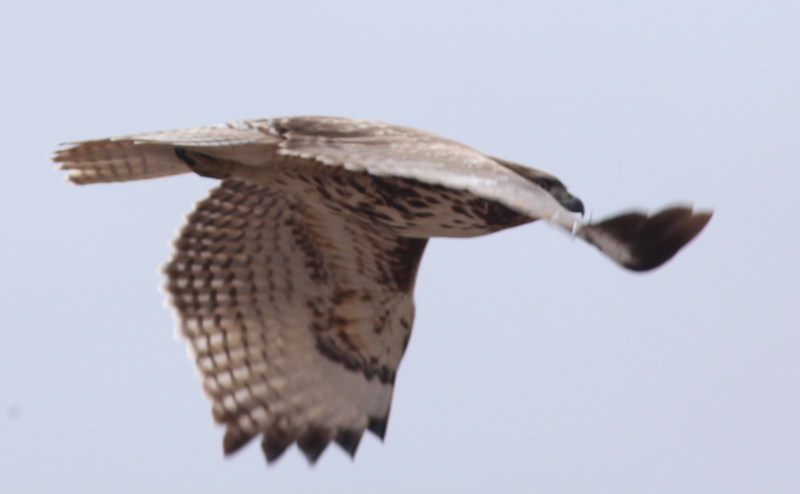 The hawk spots a photographer. 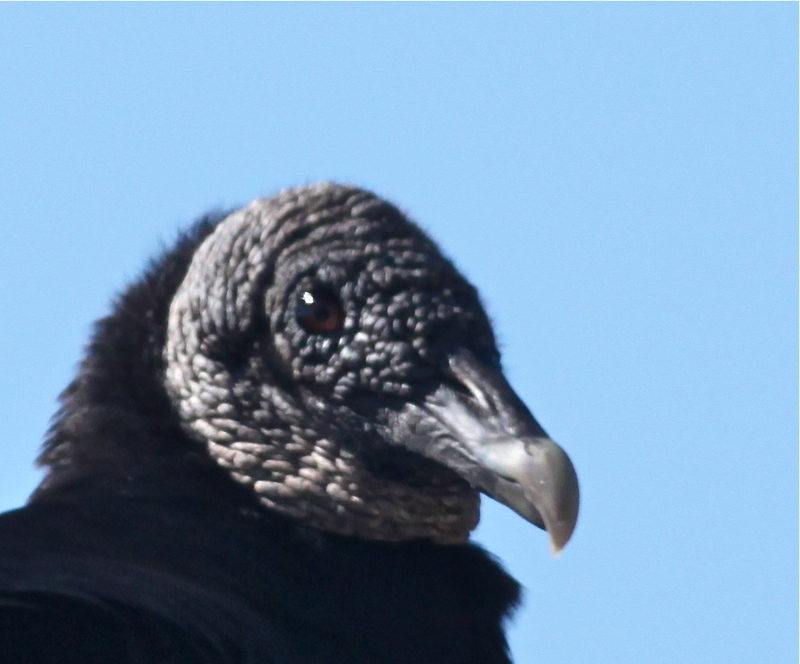 … coming quite close to me at one point. 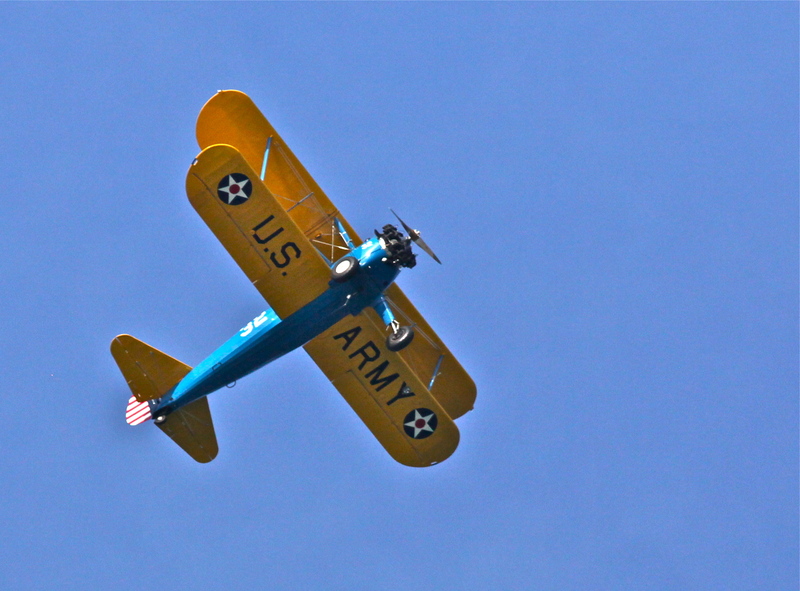 … as it flew away. Within five minutes all the usual birds were back at their feeders. 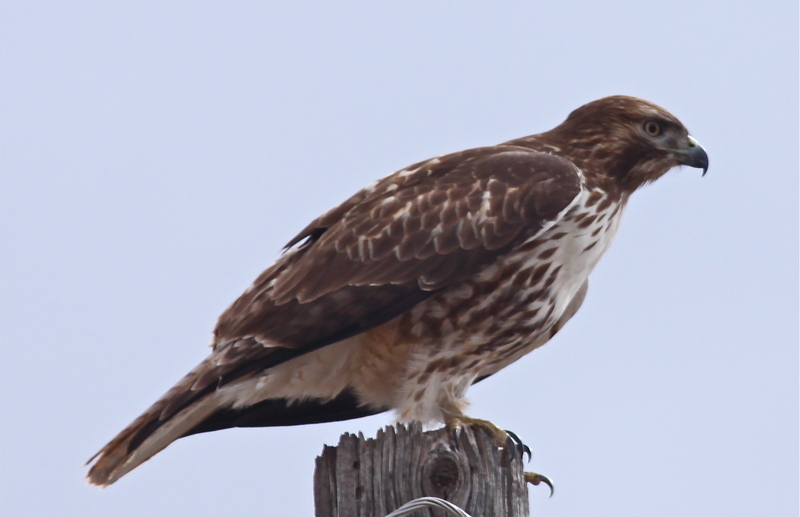 I resumed my bird count, with the addition of one Red-tailed Hawk. 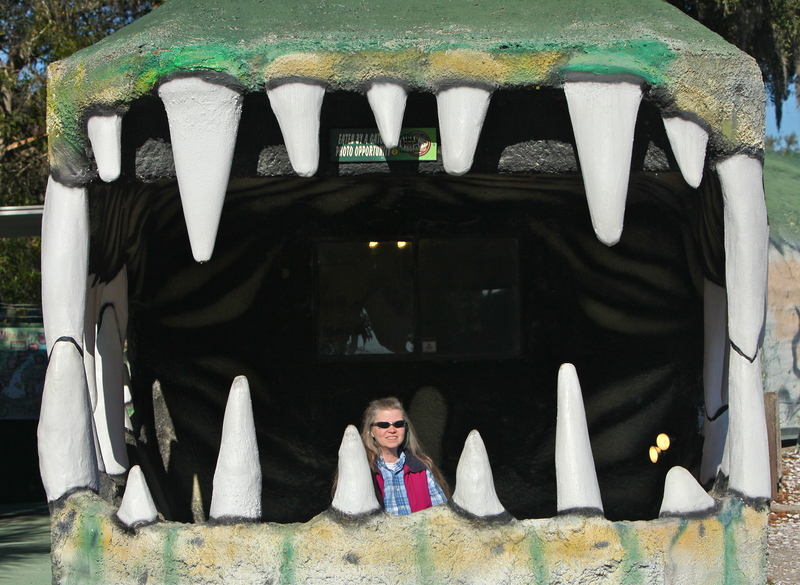 Inevitably as I come to the end of my Florida photos I have some that did not exactly fit into previous posts. 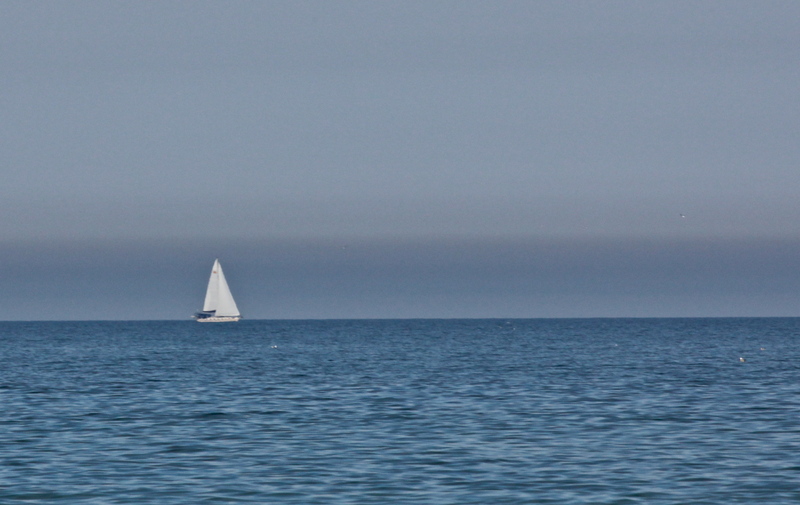 Some did not fit into a particular category, some were marginal photos, some were overlooked. 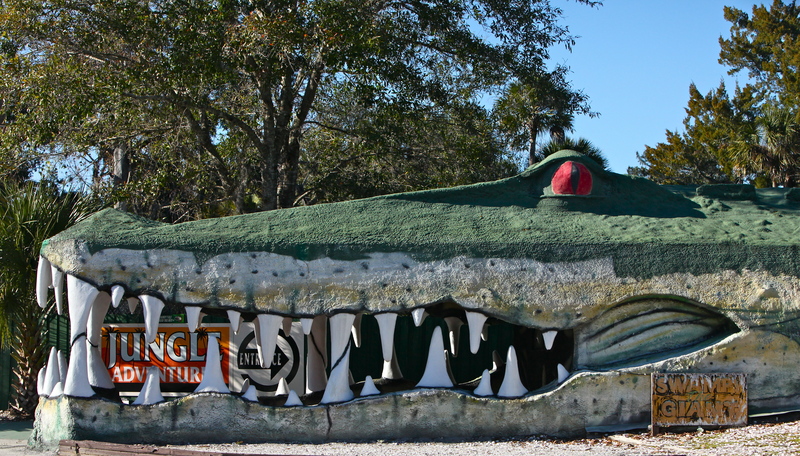 Like a stew made out of leftovers scrounged from the refrigerator, here is my final Florida post. 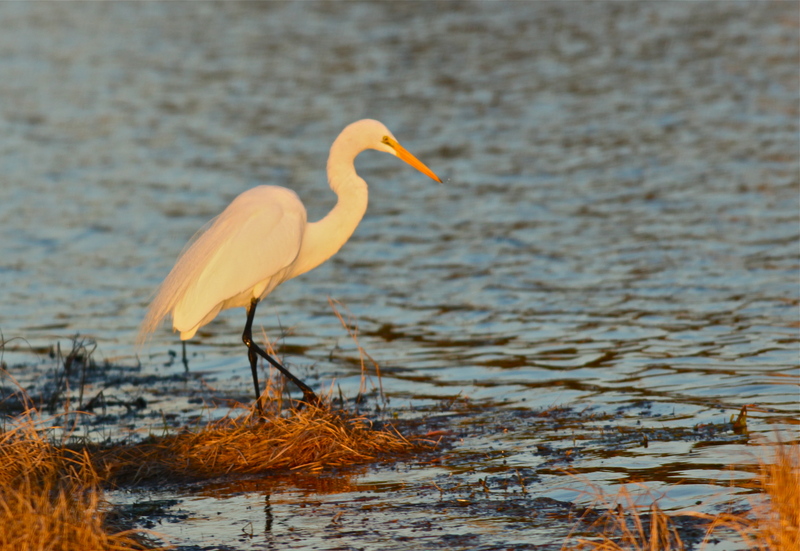 A Great Egret in golden afternoon light. 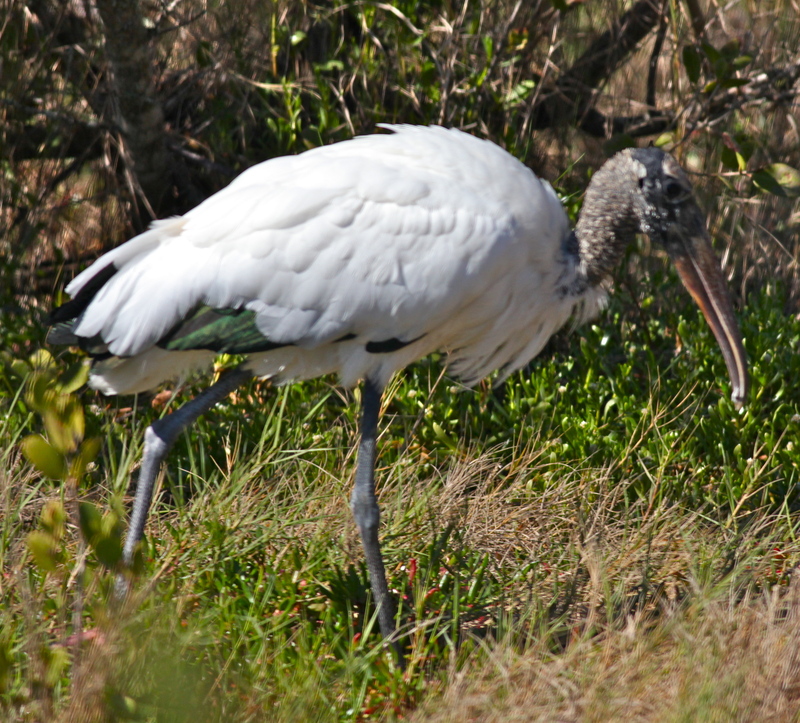 White Ibis feeding in shallow water. 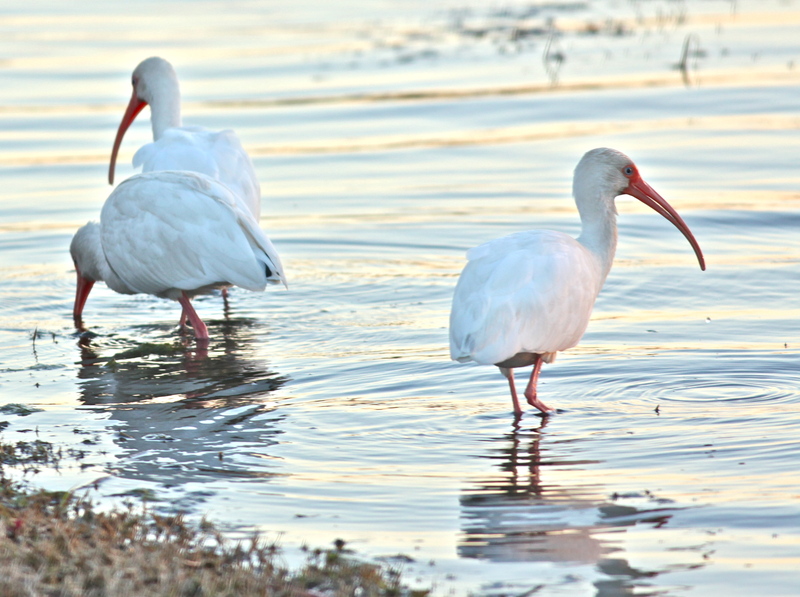 White Ibis fly at sunset. 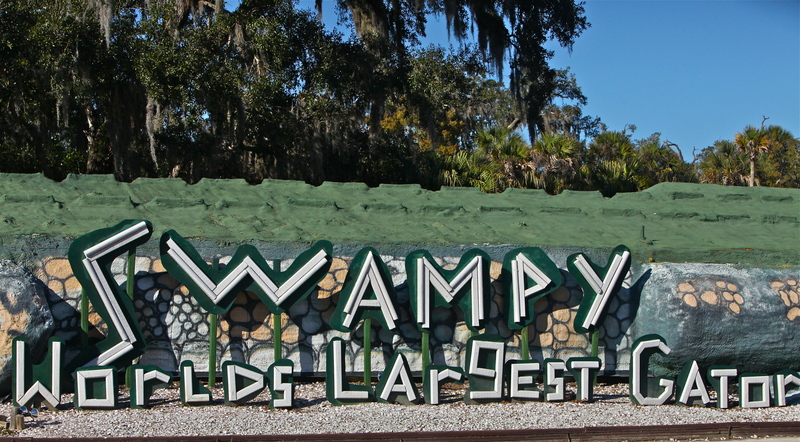 From Christmas, Florida: Swampy, the World’s Largest Gator. This claim is true, I believe. 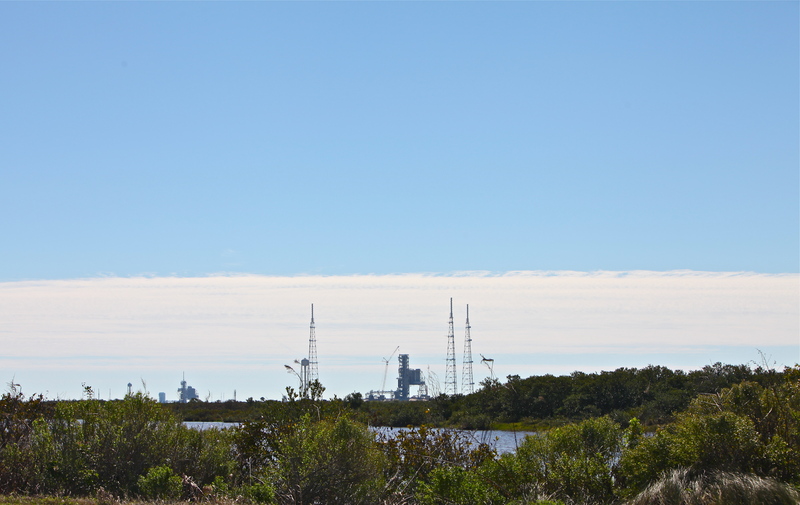 From Merritt Island National Wildlife Refuge: A view of the Space Shuttle Launch Complex. Space Shuttle Launch Complex at Merritt Island. 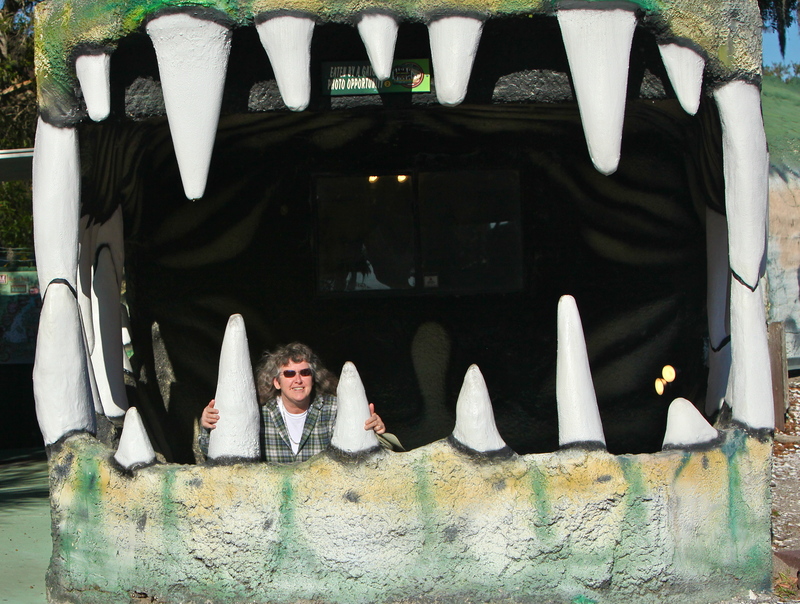 Which, of course, brings me to the end of my Florida adventures . . . until next time. 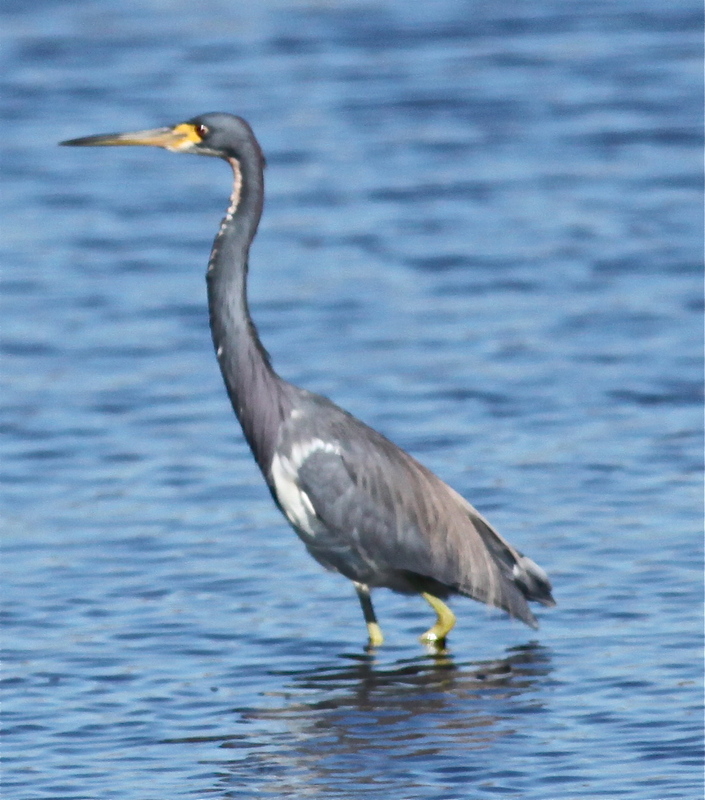 Faithful readers may recall my unhappiness at driving by a small neighborhood lake without stopping one morning at the Space Coast Birding and Wildlife Festival. (See A New Mexican in Florida-Part III.) 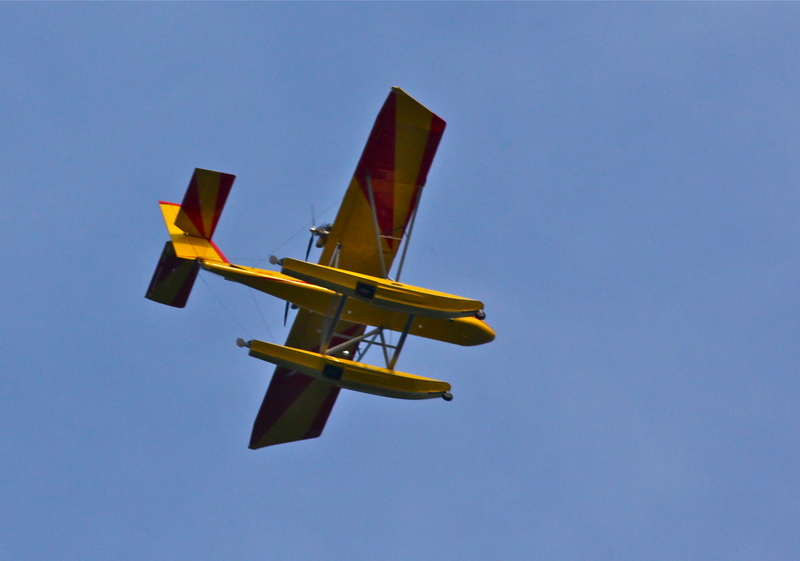 I had made a note of the location in a Titusville, Florida neighborhood where the lake was located, and I returned one morning with Donna and Melanie. Dawn and Jeff joined us there. 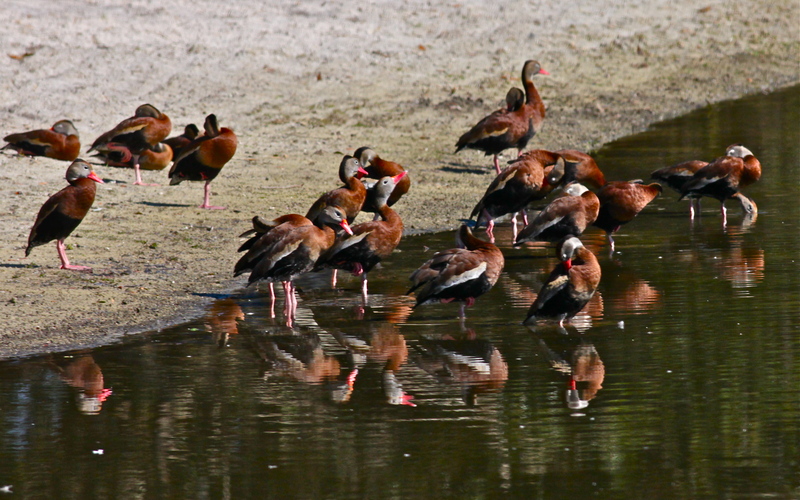 There were over 100 Black-bellied Whistling Ducks at the lake. One of the neighbors saw us and came over to chat with us. 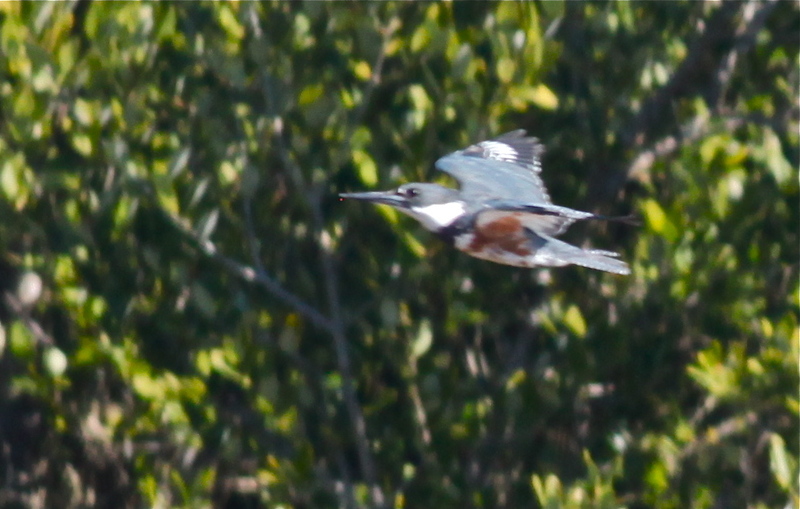 He said that a pair of Black-bellied Whistling Ducks first appeared at the pond several years ago. He started feeding the ducks, and more ducks joined the first pair. He estimated that there were now over 100 ducks staying at the pond. 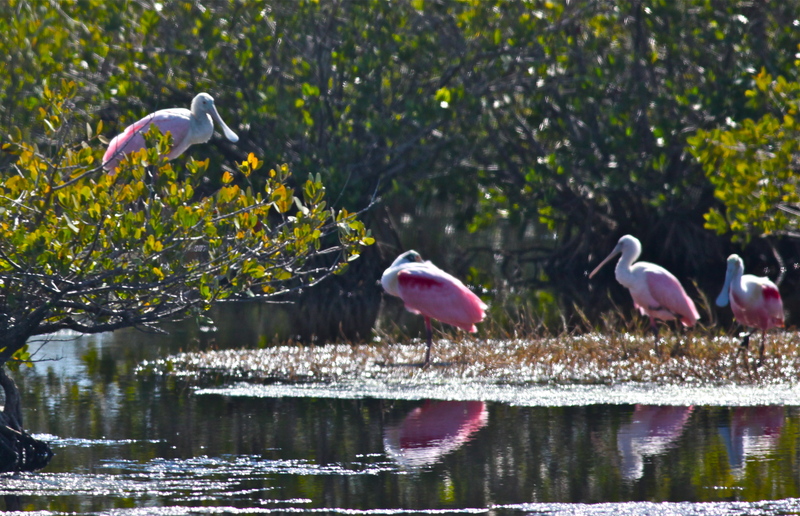 There were occasional Roseate Spoonbills, White Ibis, Wood Storks and Anhinga. 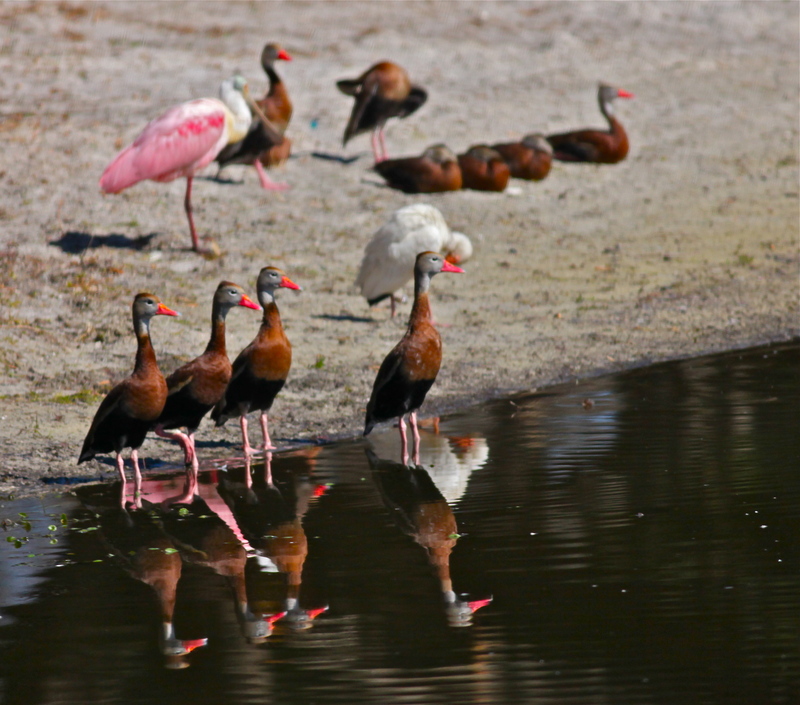 Black-bellied Whistling Ducks and friends. 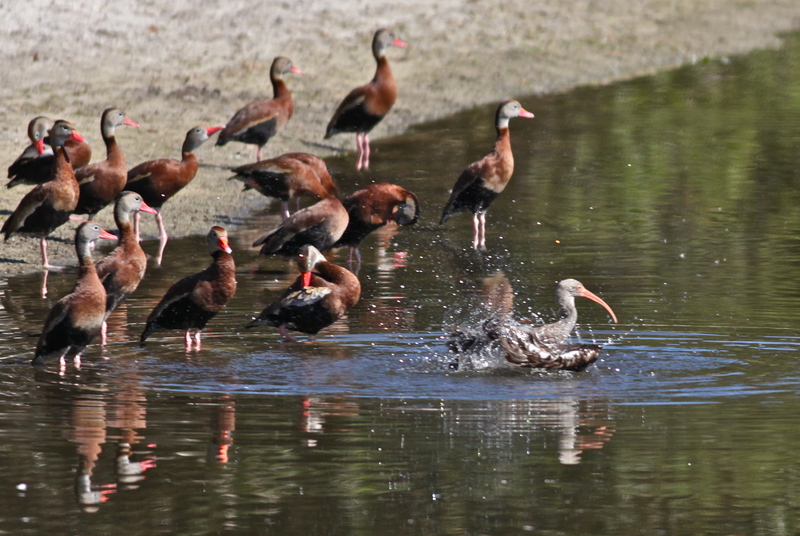 A Juvenile White Ibis bathes in the lake. A friendly retired minister and his lovely wife strolled up and told us that they had lived in the neighborhood for over 40 years. The ducks often slept in their backyard under a large tree. 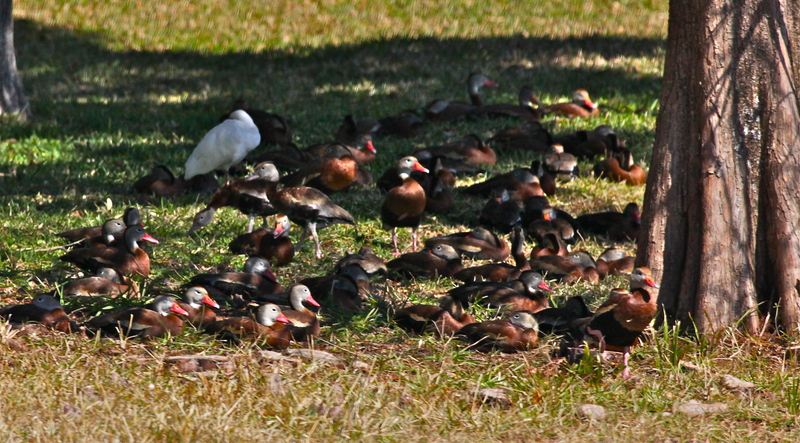 Black-bellied Whistling Ducks sleeping under a tree in a neighborhood yard. 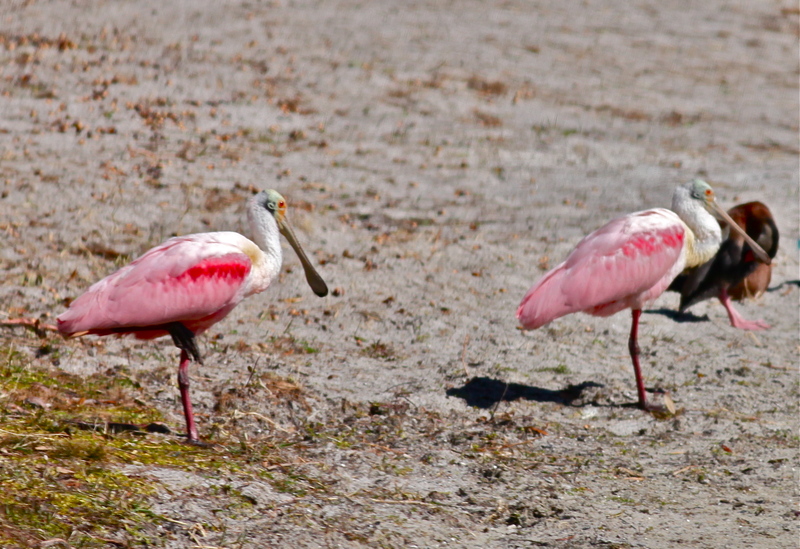 Because this was a small lake in a neighborhood, we were able to get quite close to the Roseate Spoonbills. 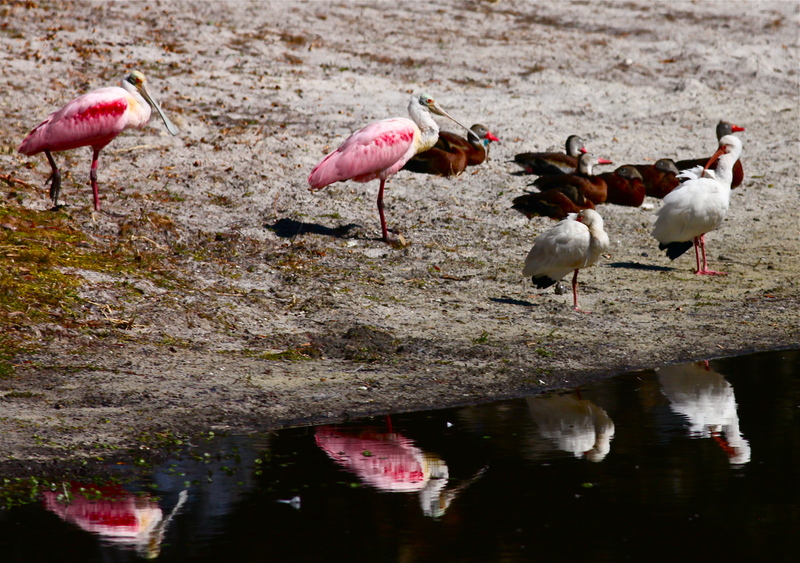 Roseate Spoonbills, White Ibis, Black-bellied Whistling Ducks. 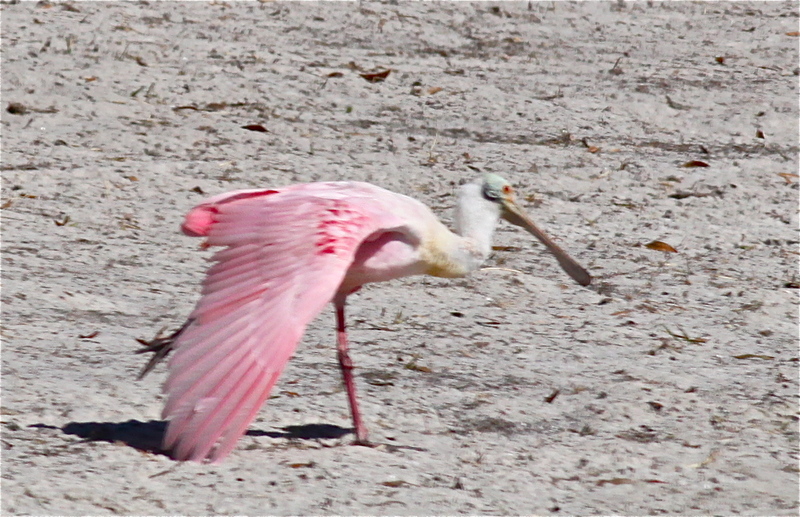 Roseate Spoonbill prepares for flight. It was a lovely morning, and we sat on the bank of the lake, enjoying the sun and watching the birds. 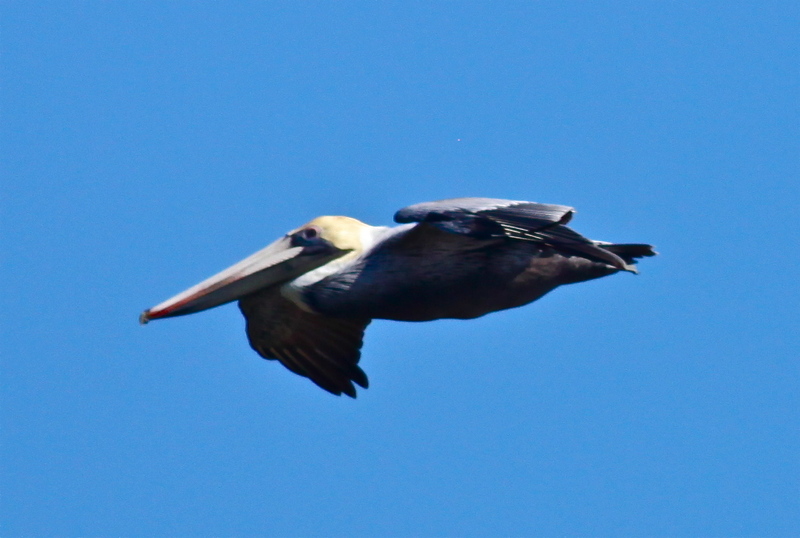 Black-bellied Whistling Duck flies toward the island in the middle of the lake. 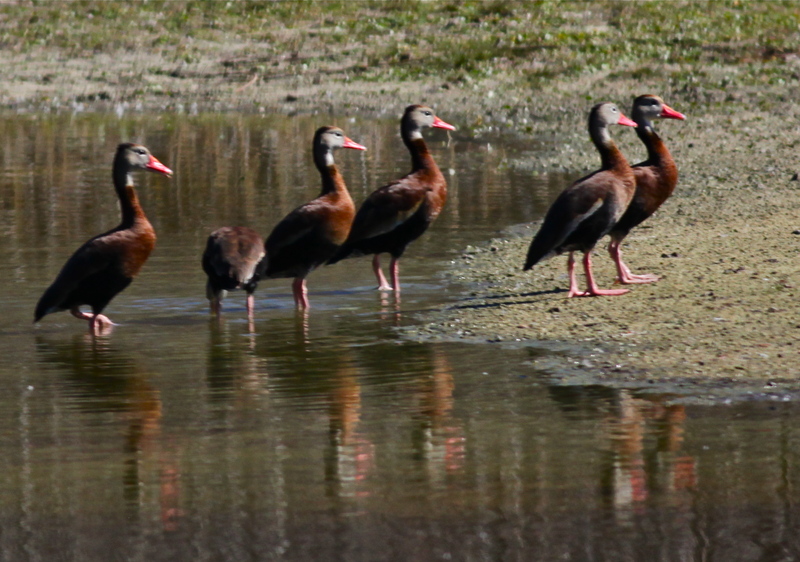 Black-bellied Whistling Ducks march up onto the island in the middle of the lake. 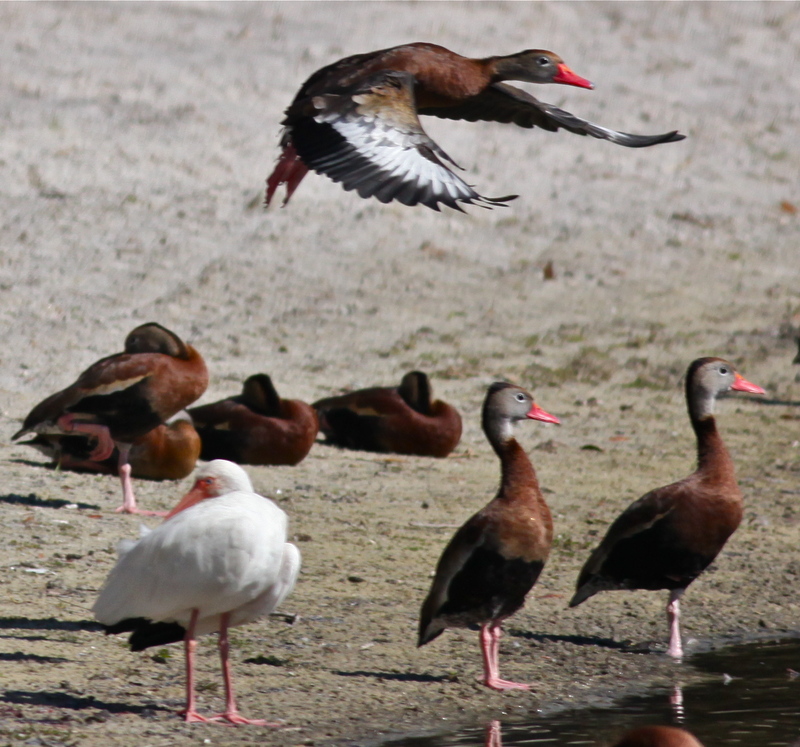 The Black-bellied Whistling Ducks are named for the whistling noise that they make, and I made a video of them whistling. Unfortunately the lake is right next to I-95 so you can hear a great deal of traffic noise, but you can still hear the ducks. 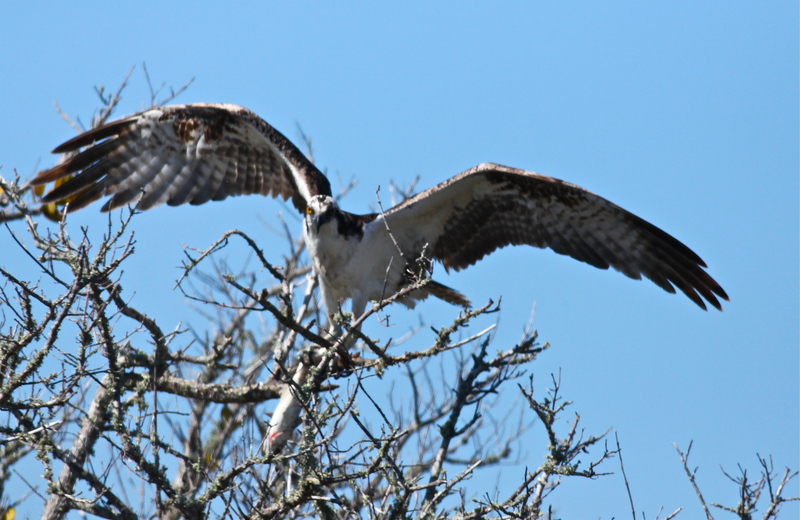 If you are wondering what happened to Part V of this Florida series, you will find it over at my Photo Flurries blog. 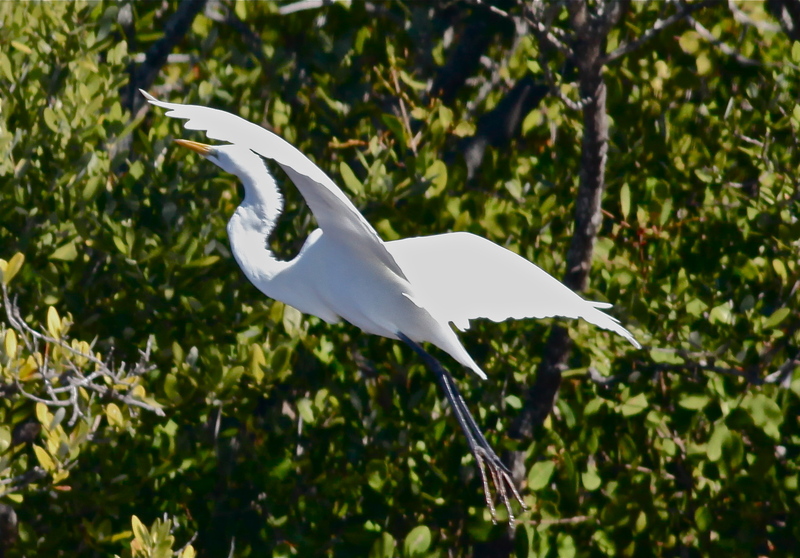 After my initial too-brief tour of Merritt Island National Wildlife Refuge, which I discussed in Part III of my Florida adventure, I was determined to return and enjoy the birds and scenery at a more leisurely pace. Dawn, Donna, Melanie and I decided to make the trip together. There were so many beautiful birds! 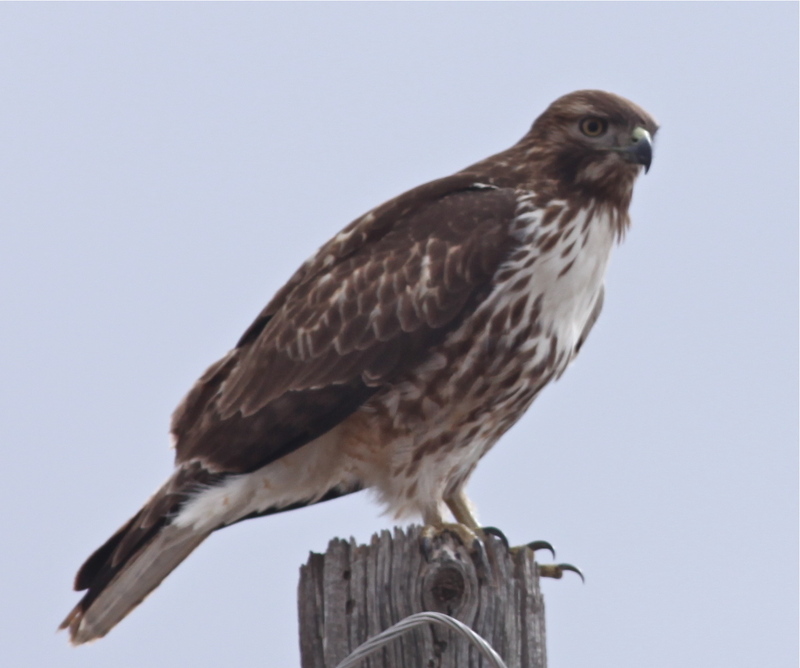 We saw a trio of lovely birds, which scattered as we pulled over to photograph them. 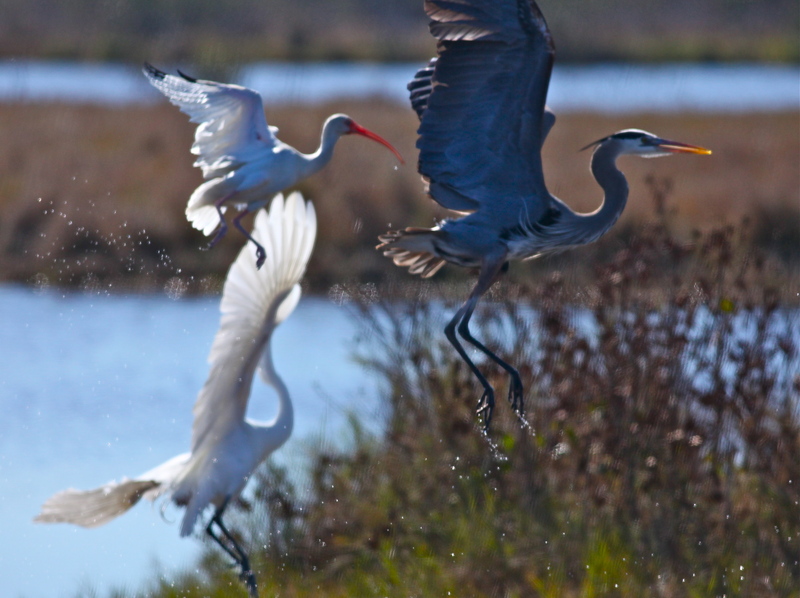 White Ibis, Great Egret and Great Blue Heron. 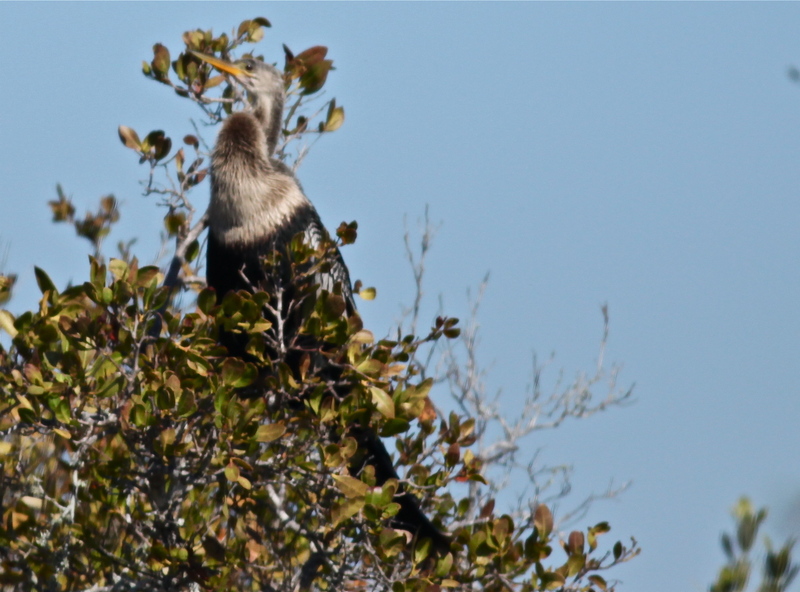 On the other side of the road we saw an Anhinga high in the trees. 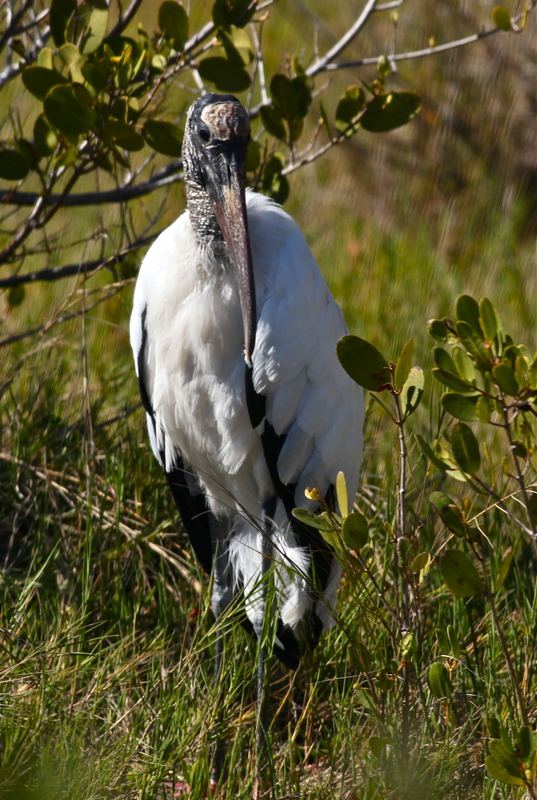 This handsome Wood Stork looked as if he was only one step removed from a pterodactyl. 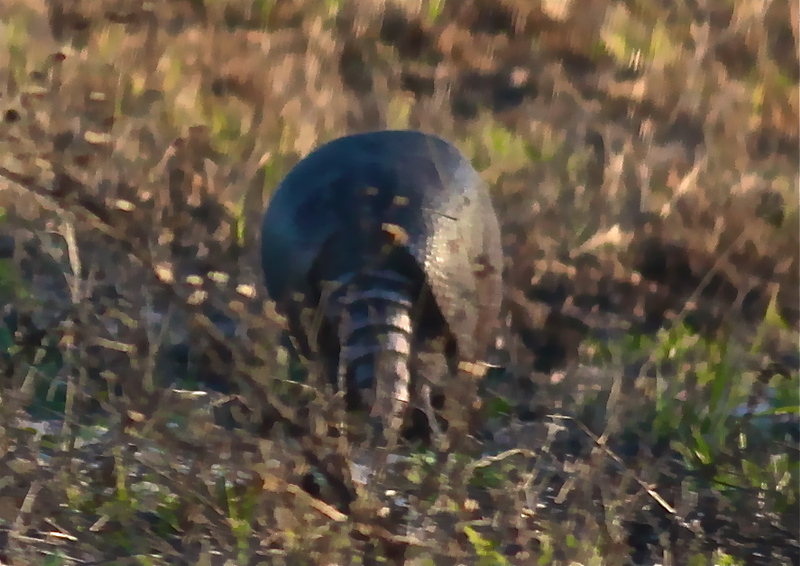 He seemed mildly offended by our presence, and he stalked away. 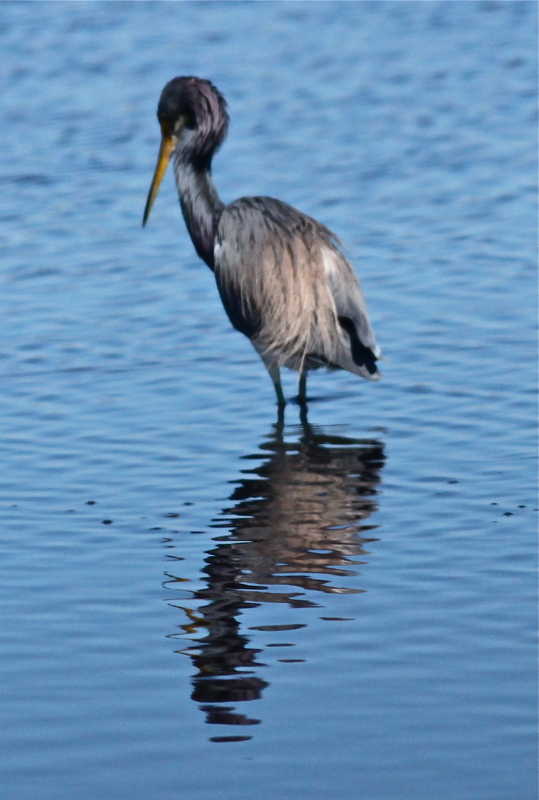 … and we were delighted to see Tricolored Herons. 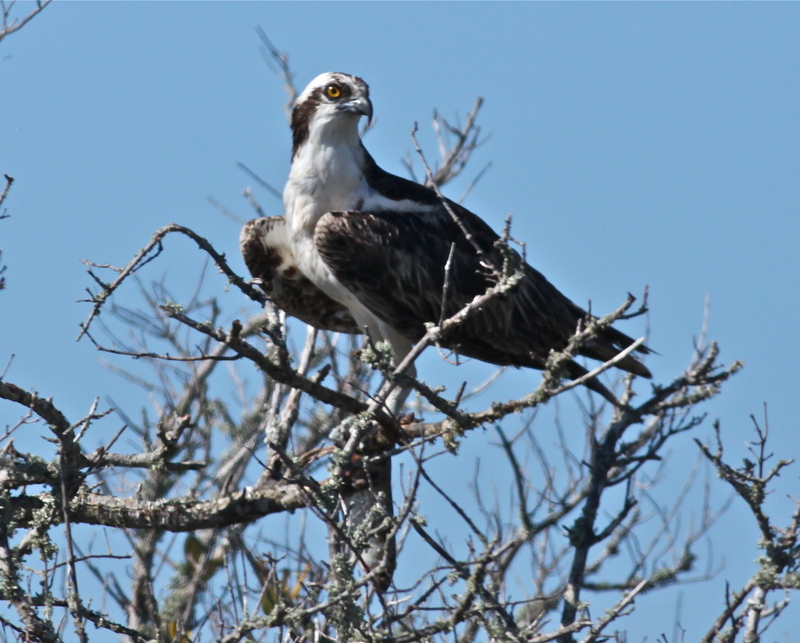 We watched a young Osprey catch a fish and come to rest in a tree, where the fish became entangled in the branches. 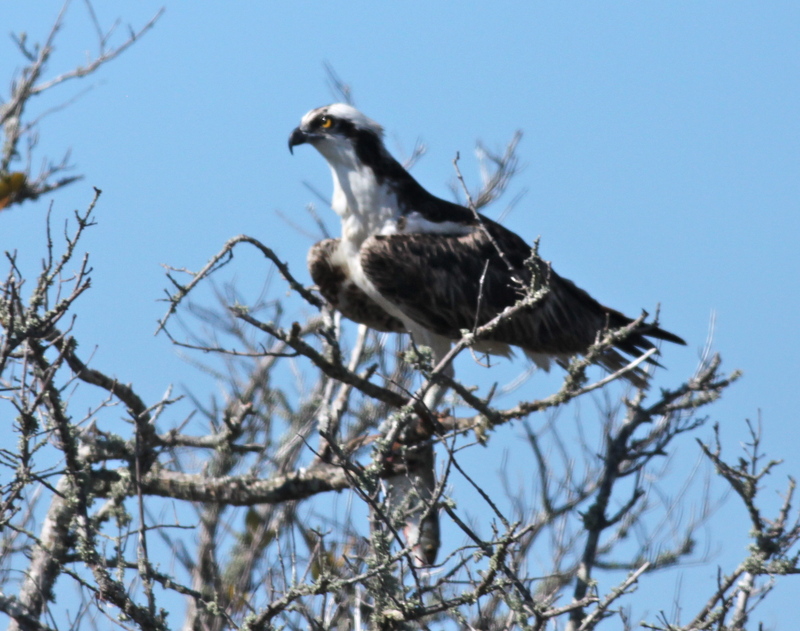 We watched the Osprey struggle with the fish for quite awhile. 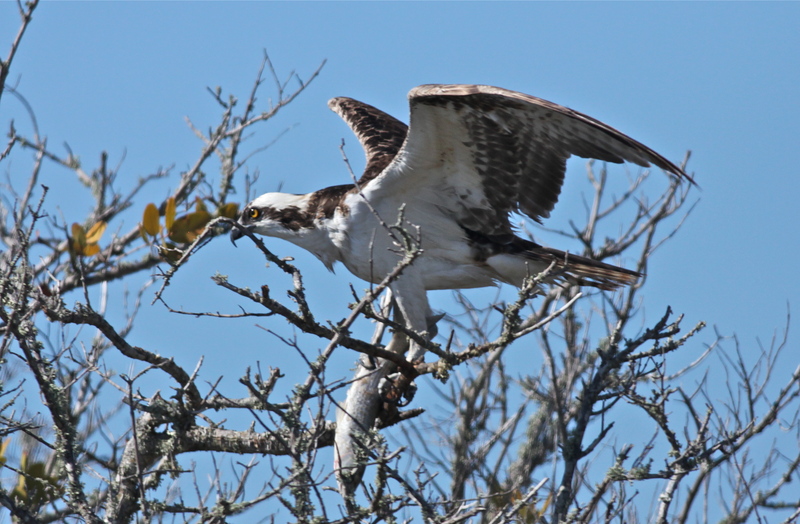 The bird was finally able to free the fish from the tree and it flew away with the fish in one claw, presumably to consume it atop a power pole as the rest of the Ospreys do. 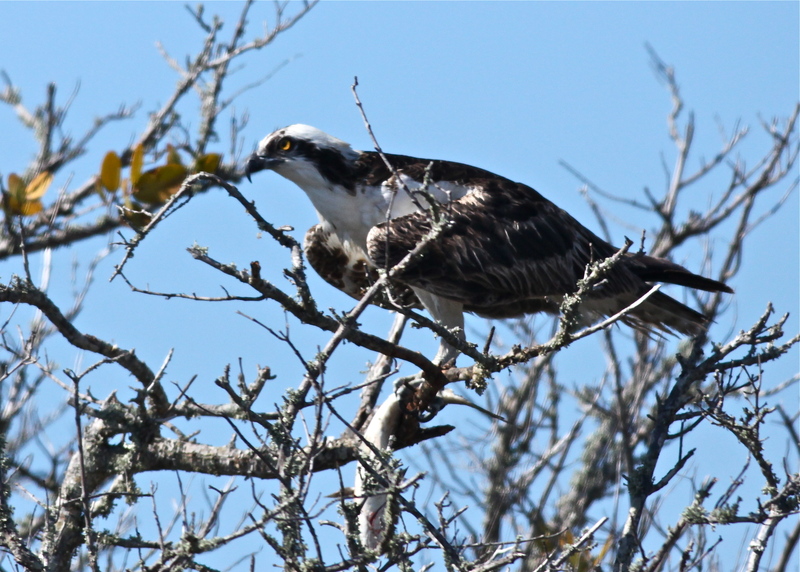 Be sure to look for A New Mexican in Florida-Part V over in my Photo Flurries blog. 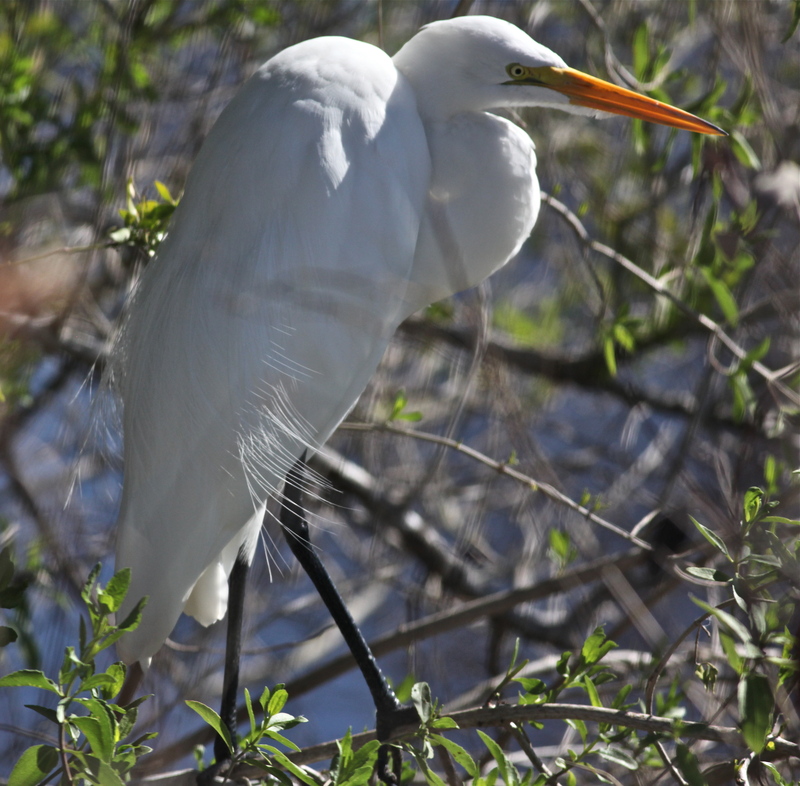 One of the morning’s activities at the Space Coast Bird and Wildlife Festival was called Brevard Hot Spots. 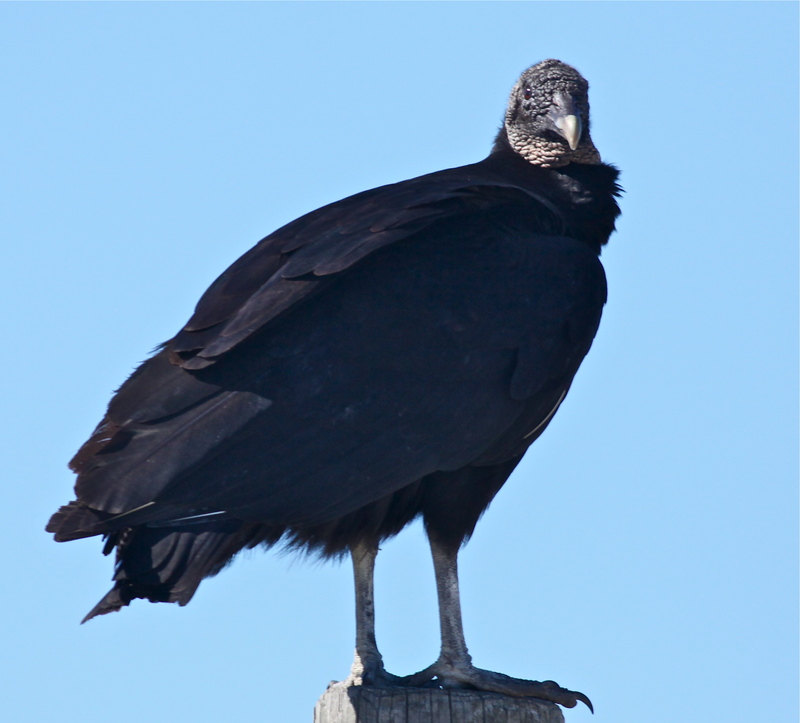 I assumed that the name referred to good birding spots in Brevard County. Perhaps it should have been called Brevard Cold Spots because the morning was very cold. We loaded ourselves onto a bus at 5:30 am, and we were taken somewhere out in the middle of nowhere and unloaded from the bus. Miserable birders stood around in the cold hoping that the sunrise would bring a bit of warmth and some birds. 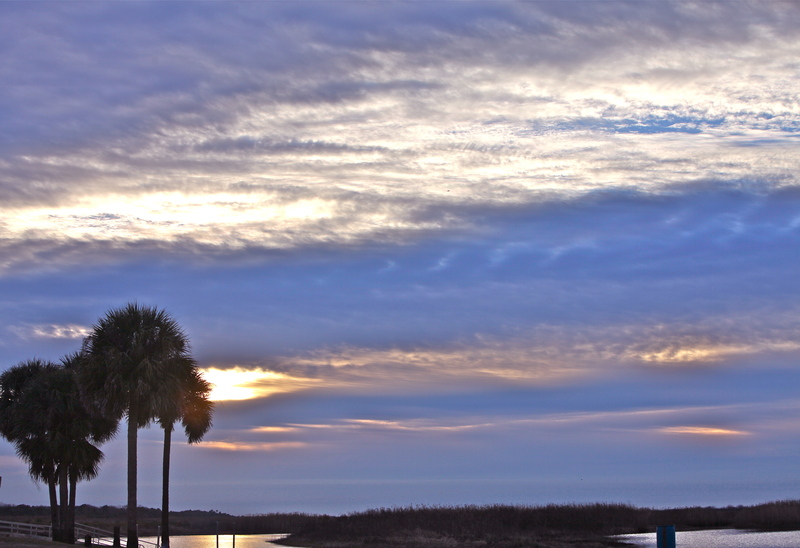 Cold sunrise somewhere in Brevard County, Florida. 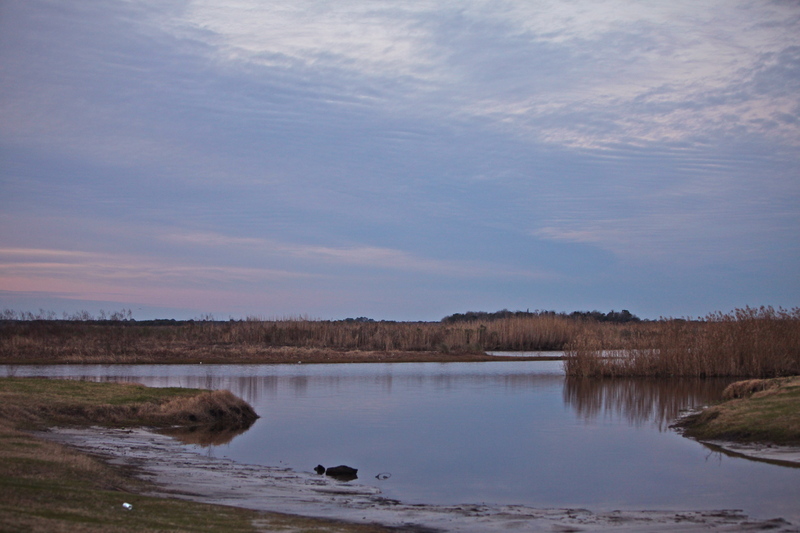 As it got a bit lighter, a couple of birds flew out of the reeds in the cold, dim, morning light. 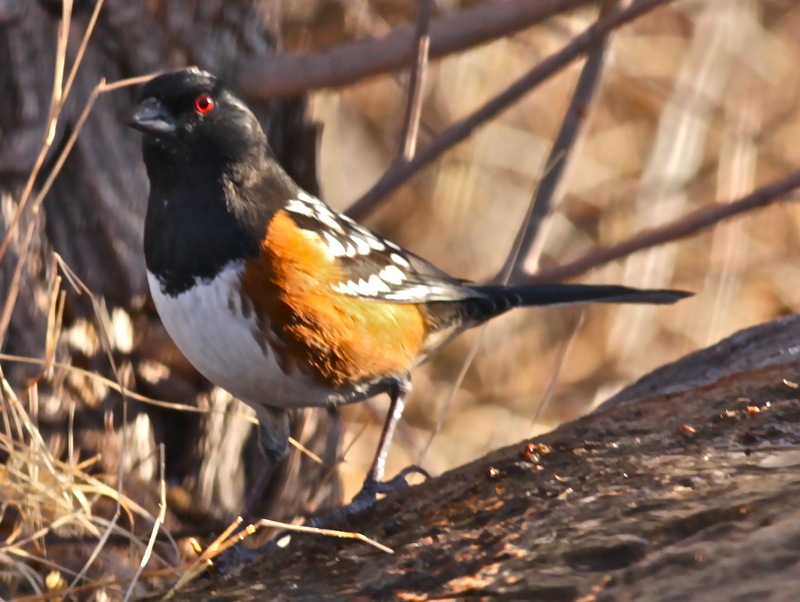 Birders stood around with binoculars looking at distant sparrows, cardinals, woodpeckers and a catbird. I felt my toes going numb as I looked without success for something to photograph. We went to several more unproductive spots. 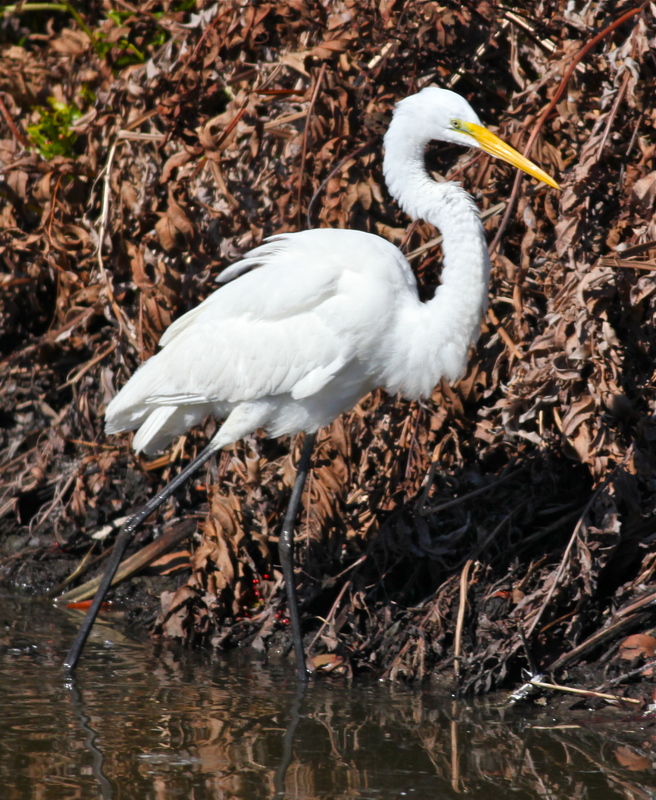 Birders were desperately looking for bird-like forms. 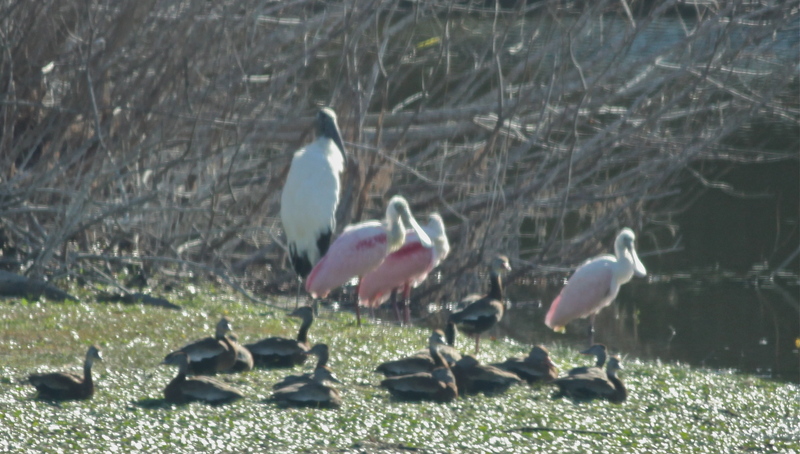 Finally the bus drove by a small lake in a neighborhood that had many Black-bellied Whistling Ducks, some Roseate Spoonbills and a Wood Stork. Did we stop? No. I took a bad photo through the window of the moving bus. Bad photo through moving window of moving bus. I believed that things could not possibly get worse, but I was wrong. Our tour leader, who seemed intent on ticking off as many species as possible for the day, decided to take all 40 of us to his very small house. We tried to cram ourselves into his enclosed porch to see birds at his feeders. We were cautioned not to touch the blinds, which were almost closed. Perhaps 3 or 4 people could actually see birds. 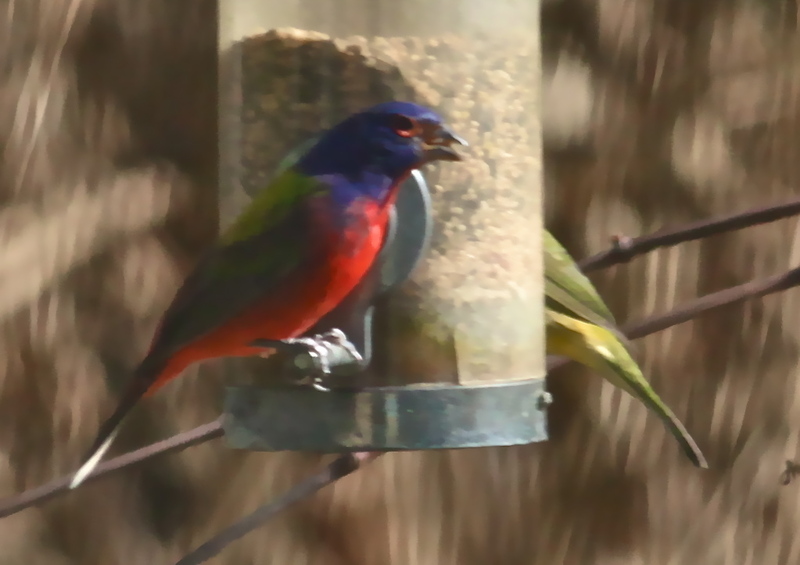 I was able to sort of see a male and female Painted Bunting through a screen door. Even in this spectacularly bad photo taken through a screen door you can see how beautiful the birds are. 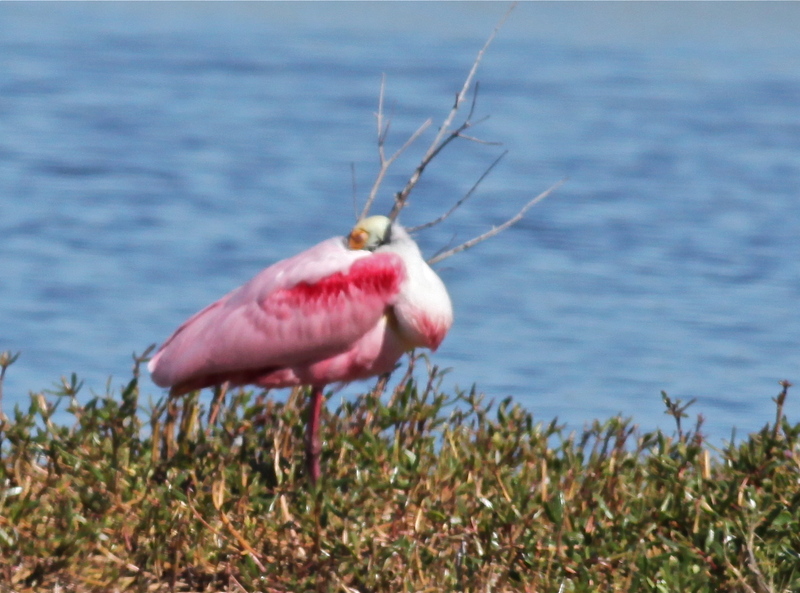 I was feeling pretty disheartened at this point, but I perked up a bit when I learned that our next stop would be Merritt Island National Wildlife Refuge. Our first stop was at this pond to look at ducks. Birders got out their spotting scopes and began to exclaim over the tiny dots, which they assured me were ducks. 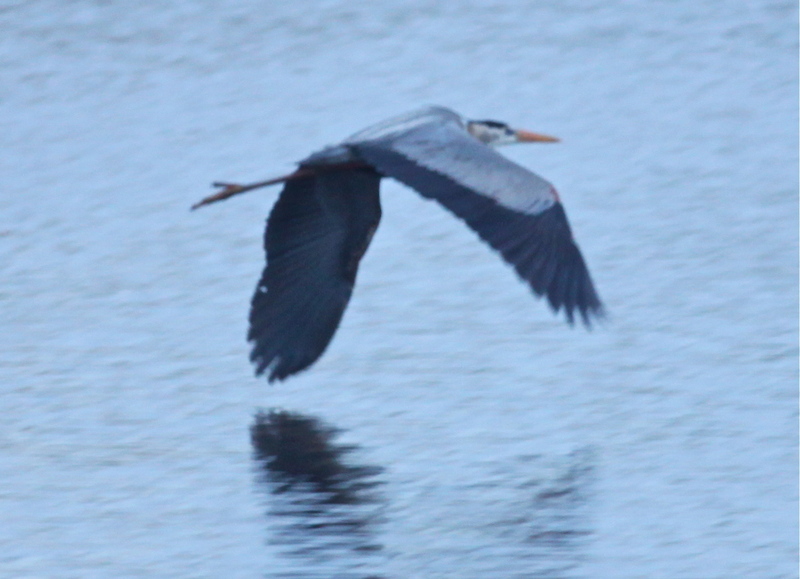 I wandered away and began to look for birds to photograph. 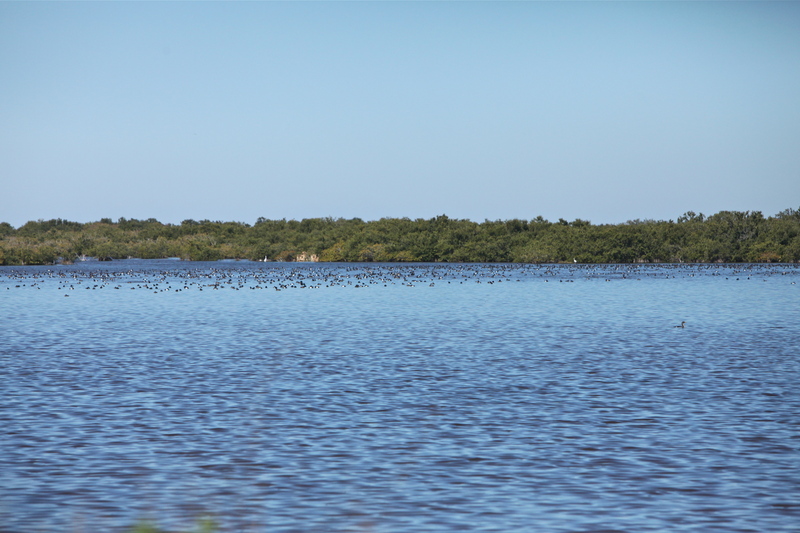 After the birders had their fill of happily viewing duck dots through scopes, we got back on the bus and continued to Canaveral National Seashore. It is a truly beautiful, unspoiled place. 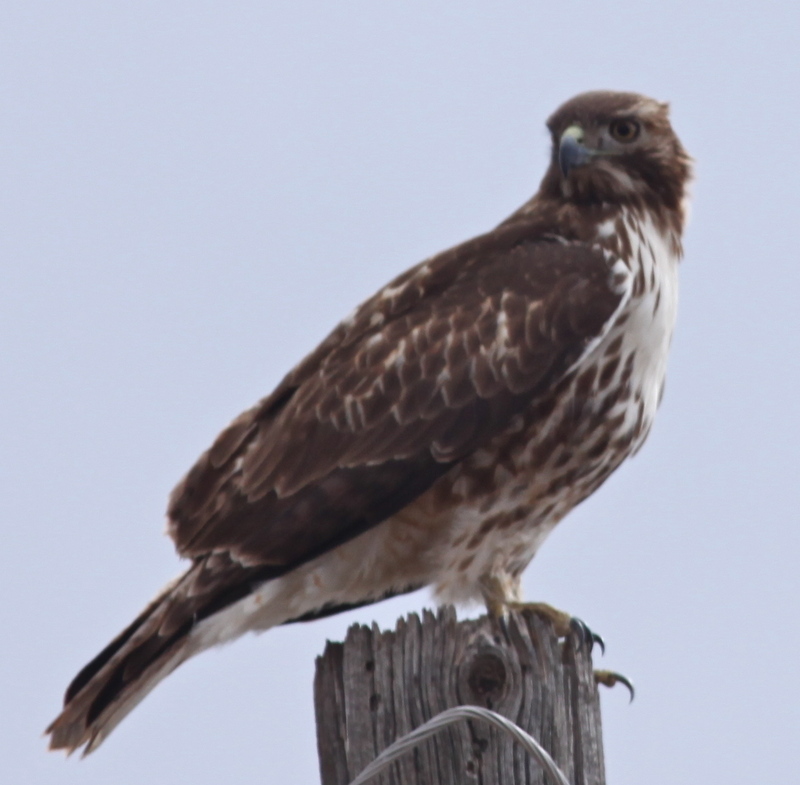 In the parking lot I saw this handsome fellow sitting on a sign. He was obliging enough to sit for his portrait. We walked over the dune and onto the beach. 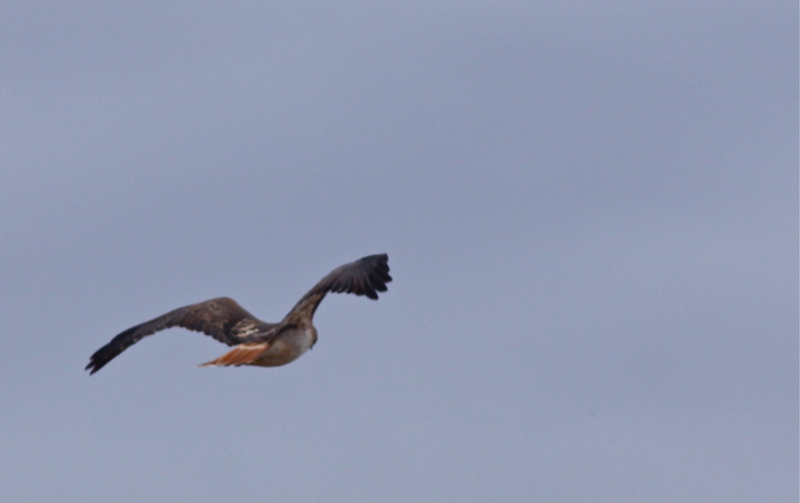 I watched an Osprey hunting above the waves. 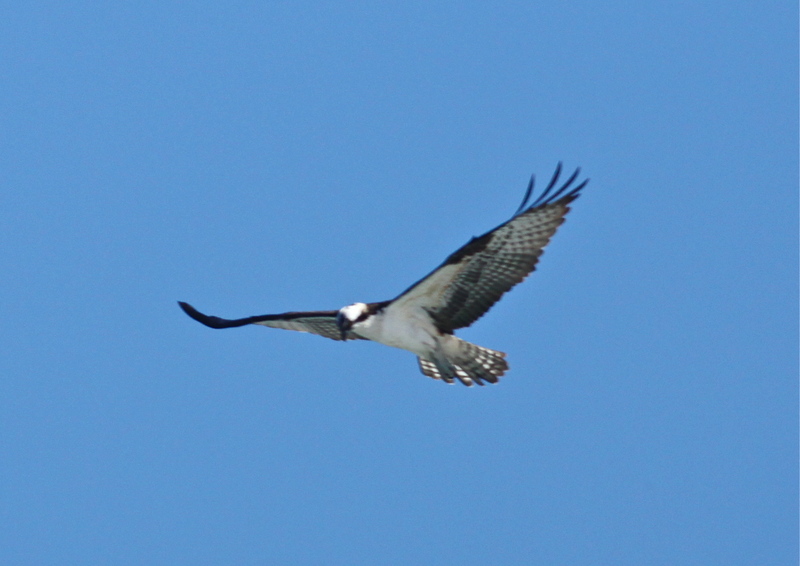 Osprey hunting above the waves. 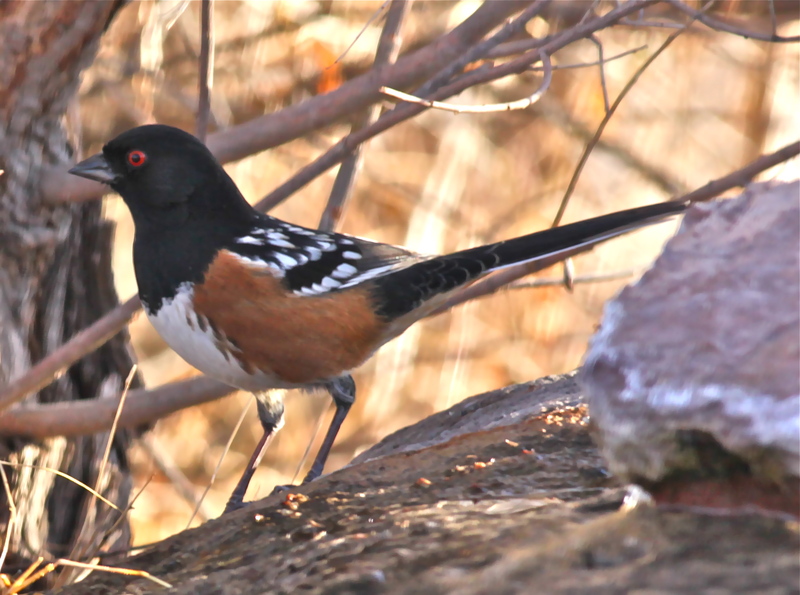 By the time we returned to our starting point, our group had seen 93 species of birds. I saw perhaps half that many. 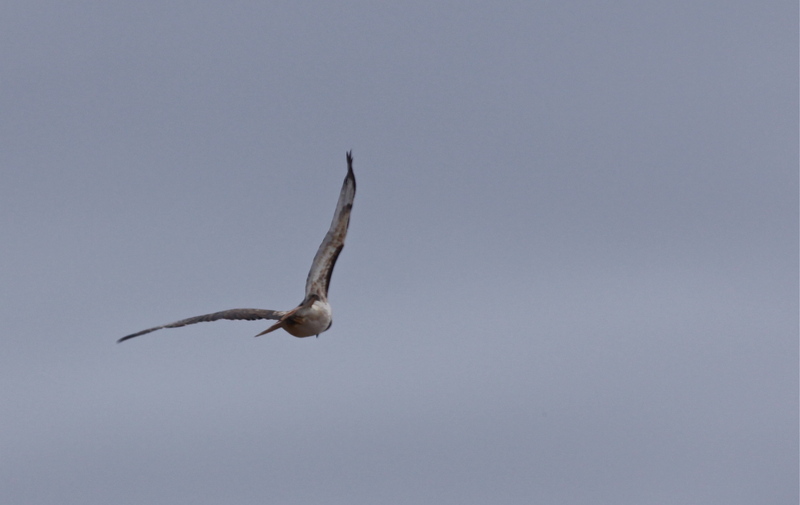 I learned that the type of birding where you go for big numbers is not my kind of birding. I like to stop and enjoy the birds. I would return to many of the places that I visited that day, and I would do it my way.